Drawing inspiration from laboratory glassware, the measuring stripes on this carafe become more than a functional element. In this case the stripes have been applied both as a functional and a decorative element. The measuring stripes become the decoration. 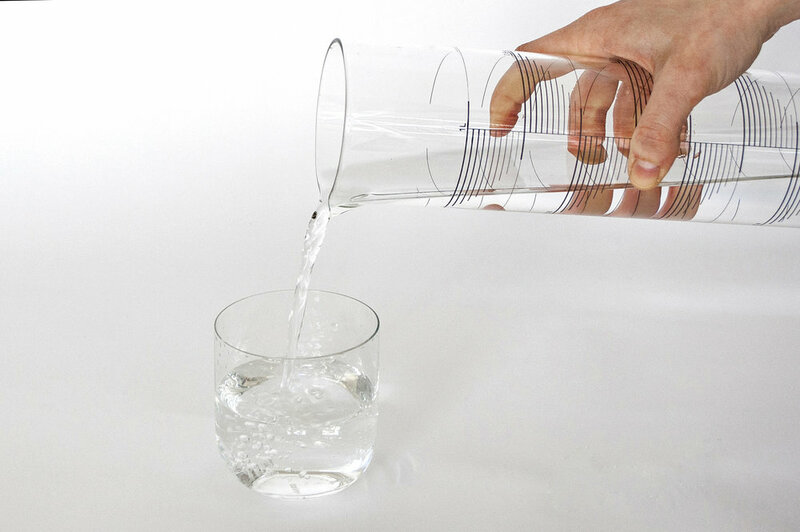 The carafe can contain 1 litre and is available in 4 different patterns.